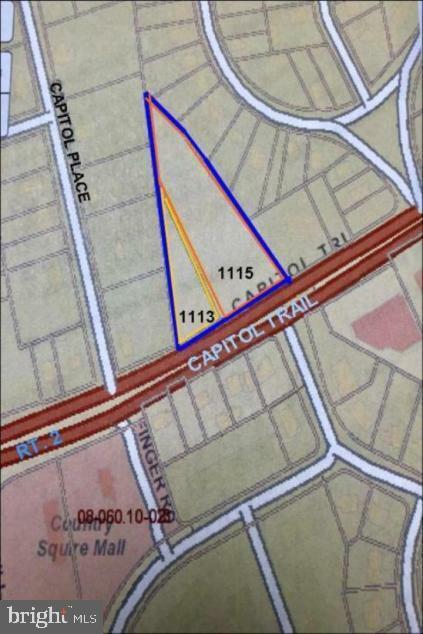 PRICE INCLUDES BOTH LOTS: 1113 Capitol Trail (parcel number 0806010254) and 1115 Capitol Trail (parcel number 0806010001). These two side-by-side ready-to-built lots represent the few remaining wooded lots near Kirkwood Highway. 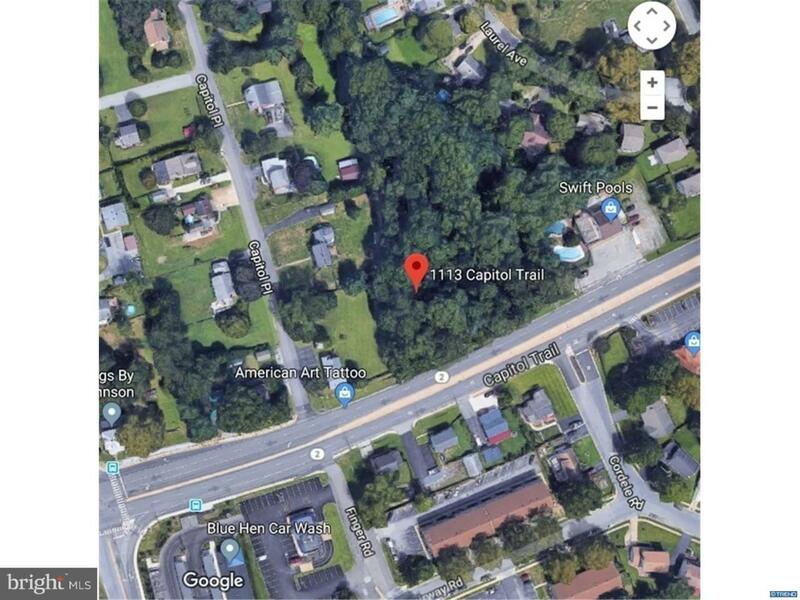 The lots, which are located across from the Blue Hen Car Wash area, are zoned residential. The larger lot (1.5A) goes deep off Rt. 2. Water and sewer are available. Land survey and other information is available on-line or from the listing agent.